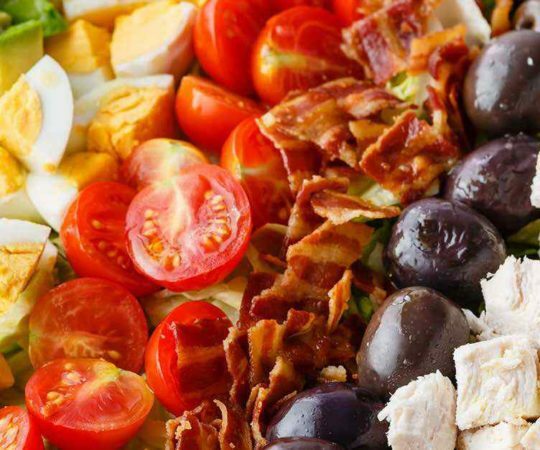 Salads make up a pretty regular part of the Paleo diet plan because you’ll want to balance out all of the meat you’re eating with a good portion of veggies at each meal. 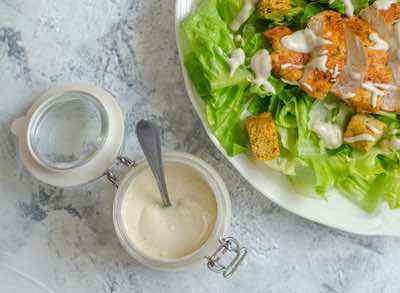 Salad dressings are a great way to make the salad taste better, but pretty much everything you find on store shelves is going to be a no-go because food manufacturers can’t help but put additives and preservatives that aren’t really needed into them. 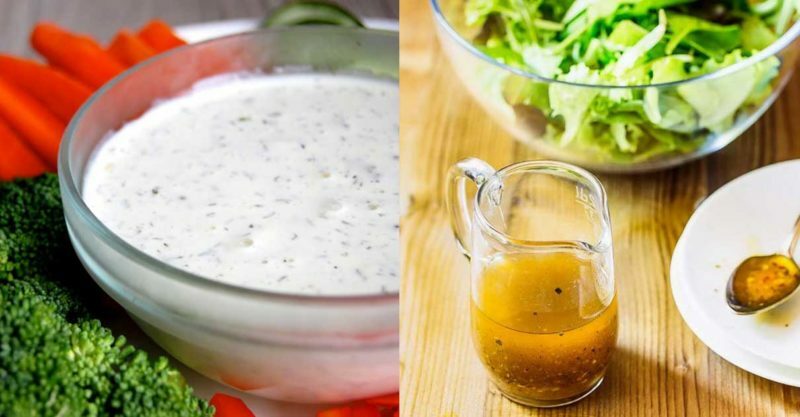 Here’s an assortment of dressings that keep it simple and healthier for you. 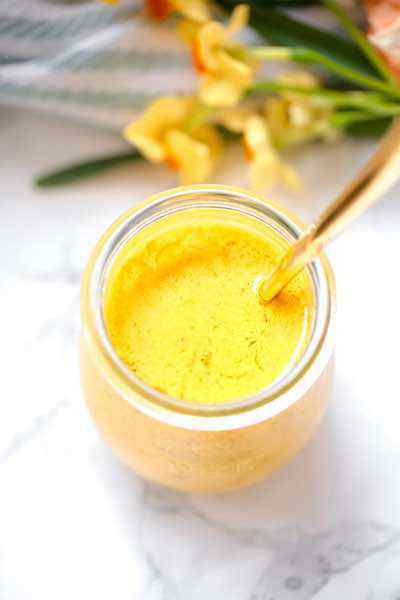 Homemade Caesar paleo salad dressing is incredibly easy to make and tastes much better than the bottled version. And the taste wouldn’t be the same without a bit of anchovy paste, which can be found near the canned fish in the grocery store. 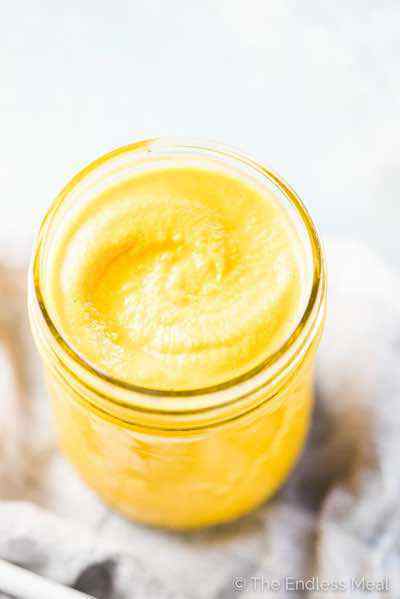 If you prefer not to use raw egg yolk for the recipe substitute one tablespoon of mayonnaise. 1. Place all of the ingredients except the olive oil into a food processor and blend until smooth. Slowly add in the olive oil to emulsify. 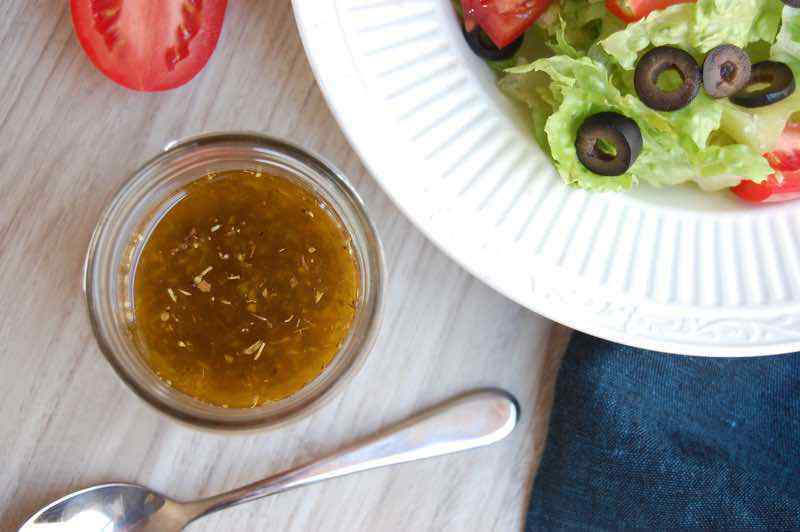 Simple and easy to throw together, this colorful raspberry vinaigrette is excellent served with salads. 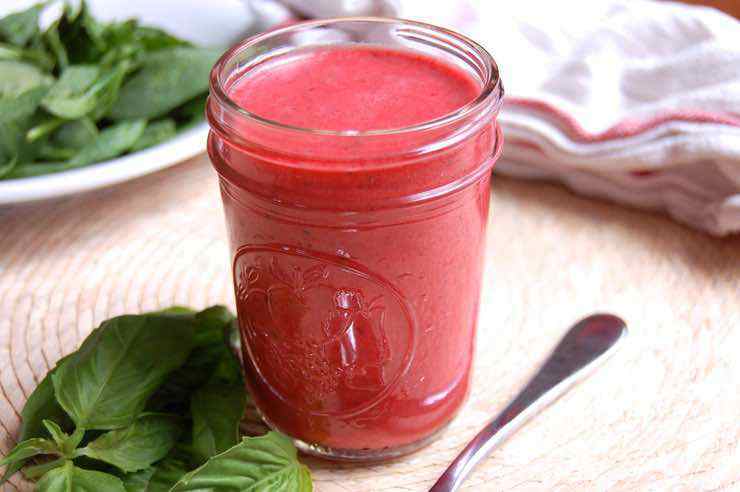 Fresh or frozen raspberries can be used to make this sweet, tangy dressing. 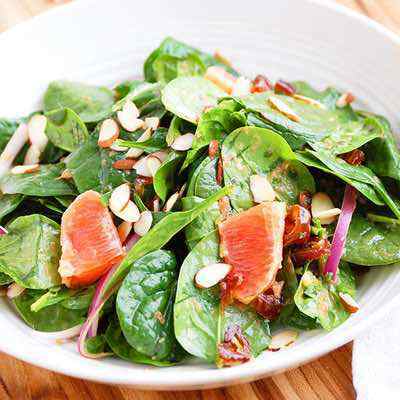 Toss it with mixed greens and pecans for a vibrant, delicious lunch. 1. Place all of the ingredients into a blender or food processor and blend until smooth, adding more olive oil to reach desired consistency. Adjust the amount of honey to taste. Dill, parsley, and chives provide a lot of flavor in this dairy-free option for a creamy paleo salad dressing. Use this dressing to pour over mixed greens, mix into coleslaw, or to make a tasty cucumber salad. If you do not have fresh herbs available you can substitute the dried version. 1. Soak the cashews in a bowl of water for at least one hour. Then place all of the ingredients into a food processor and blend until smooth. Add more water if necessary to achieve desired level of creaminess. 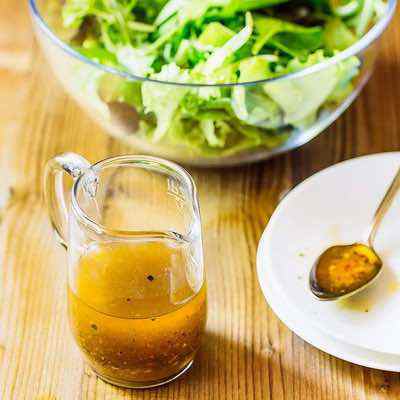 This vinaigrette takes only minutes to whisk together for topping your salad. 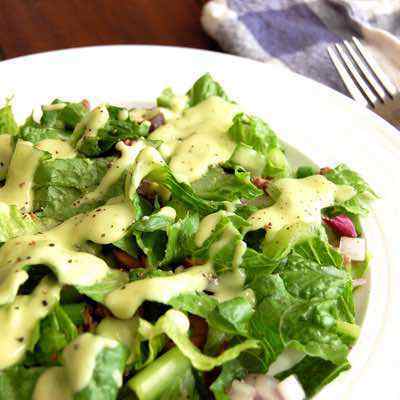 It is a simple dressing with a kick of Dijon and ginger, best for pouring over a light salad of mixed greens or romaine. 1. Combine all of the ingredients in a bowl or jar and stir well to combine. Store in an airtight jar in the refrigerator. Make this quick, flavorful vinaigrette for a great way to use up any extra basil you may have in your garden. 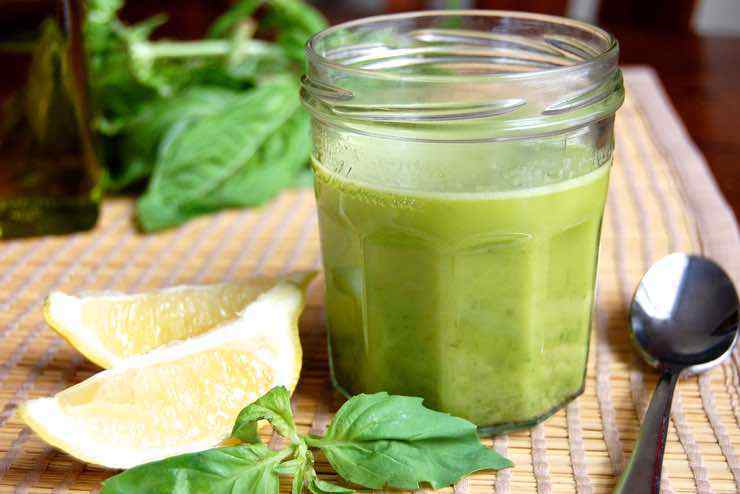 Light and refreshing, lemon and basil work well together in this recipe. 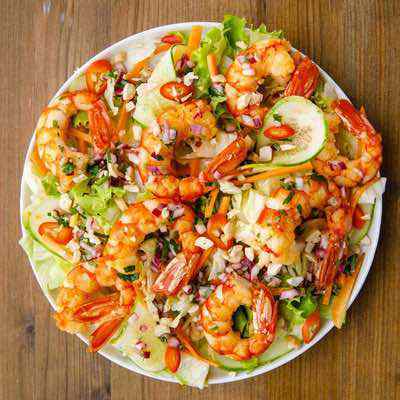 The recipe can be used for salad dressing, and can also act as a sauce for fish, chicken, or tomato salad. 1. Place all of the ingredients into a blender or food processor and blend until smooth, adding more olive oil to reach desired consistency. Adjust salt and pepper to taste. 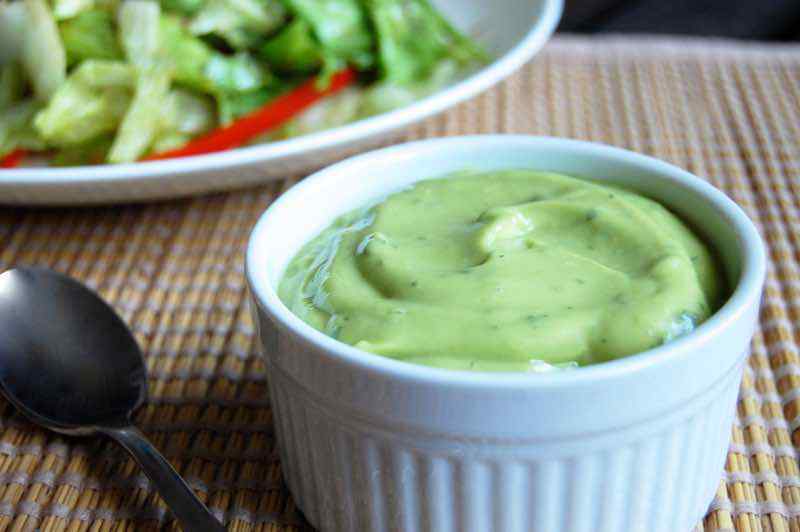 Avocado makes up the base of this rich salad dressing. 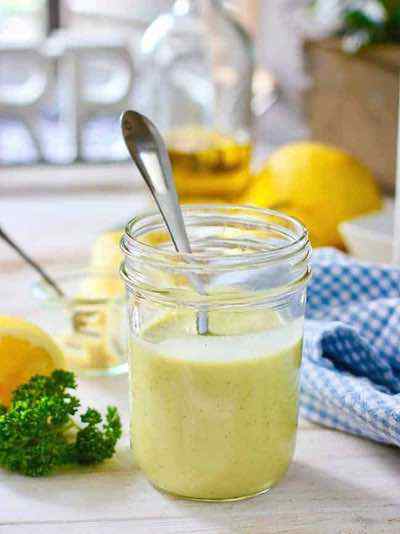 Although it is dairy-free, the dressing is still luscious and creamy. Lemon and cilantro add extra zest and flavor to the avocado. Toss this simple dressing with a chopped salad or even use it as a topping for taco salad. 1. Place all of the ingredients into a blender or food processor and blend until smooth. Adjust salt to taste. Drizzle over salad to serve. 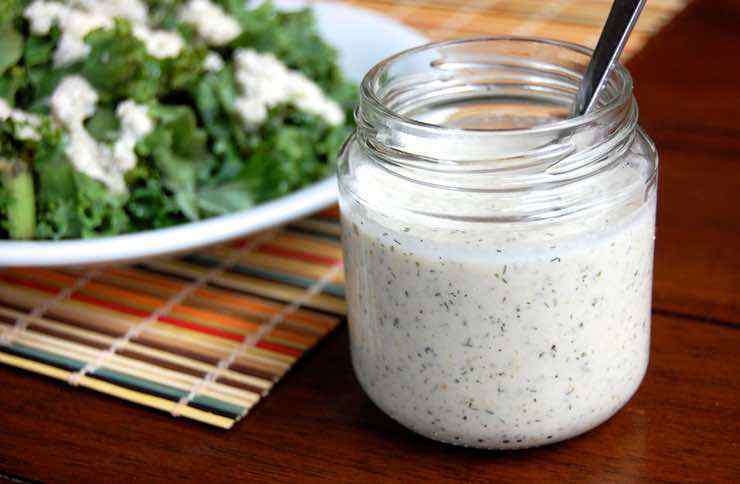 Add some spice into regular ranch dressing with a bit of adobo sauce. 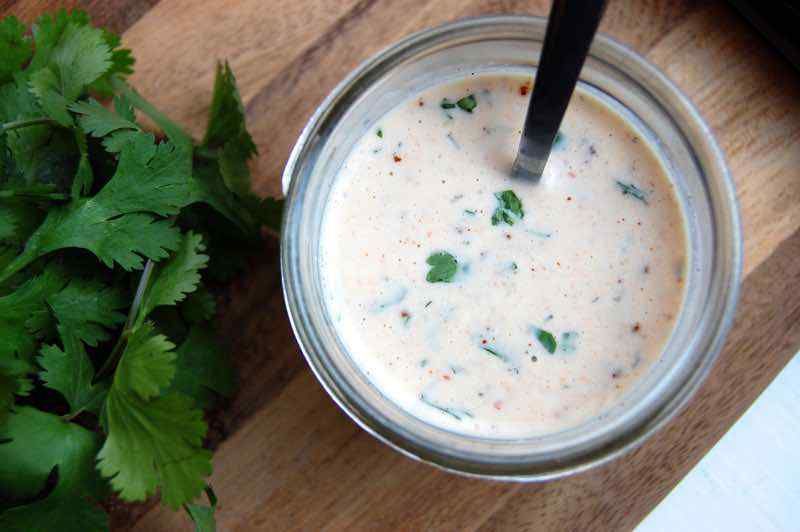 Chipotle ranch dressing is a tangy spin on the classic to add some variety into your kitchen. Use the recipe as a dip for veggies or toss with lettuce for a tasty salad. 1. Whisk all of the ingredients together to combine. Add some water if necessary to reach desired consistency. Season with salt and pepper to taste. Store in an airtight container in the refrigerator for up to a week. 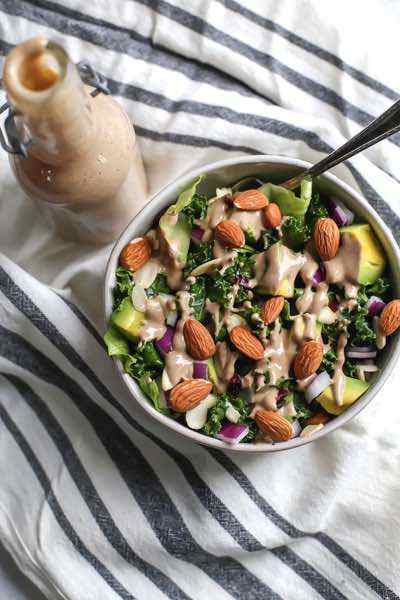 Serve this greek paleo dressing over a salad of crisp lettuce, tomatoes, olives and cucumbers for a delicious lunch full of Greek flavors. 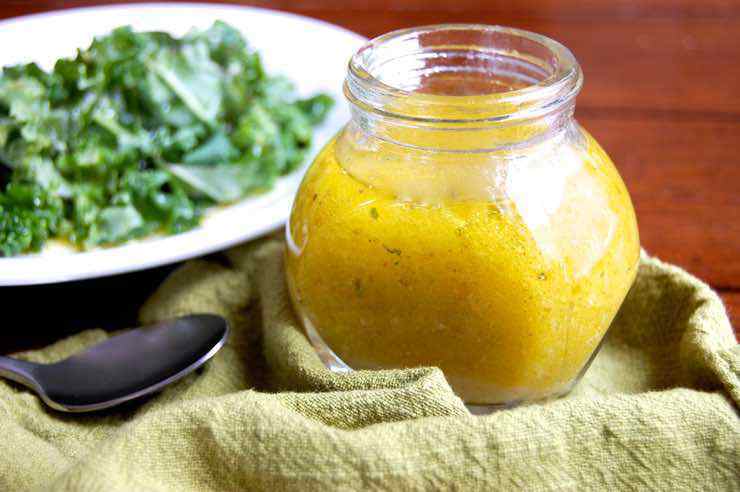 The dressing does not need to be refrigerated, so it travels well for picnics and gatherings. It is actually best when you let the mixture sit for 30 minutes to let the flavors blend. 1. Whisk together all of the ingredients except the olive oil in a small bowl. Slowly drizzle in the olive oil while whisking to make an emulsion. Serve immediately or store at room temperature tightly sealed. 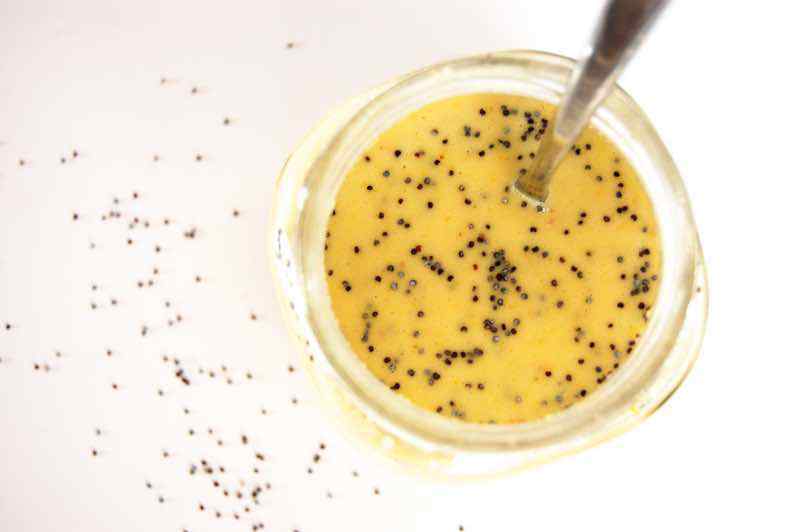 This tangy and sweet poppy seed dressing is terrific on a fresh fruit salad. 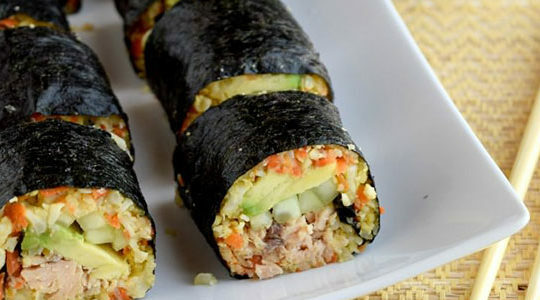 Low in fat and calories, the recipe relies on simple ingredients to provide bright flavors. 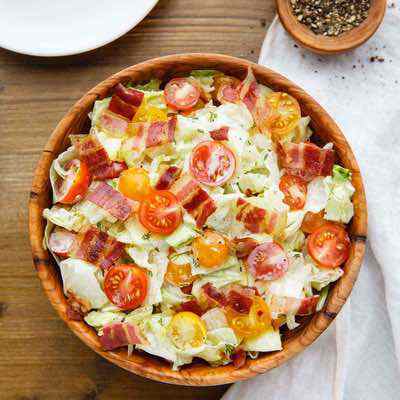 You could also try it tossed with a traditional green salad or as a dressing for coleslaw. 1. Place all of the ingredients except the poppy seeds into a food processor and blend until smooth. Pour into a small bowl and stir in the poppy seeds. Adjust salt and pepper to taste. You don’t have to give up the classic taste of Ranch dressing just because you’re following Paleo. It just requires a little bit of tinkering to make sure that there’s no diary or artificial ingredients being used. 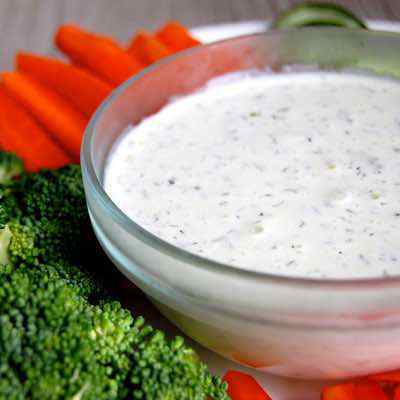 Traditional Ranch dressing has buttermilk, mayo, and sour cream, three ingredients that get the kibosh on Paleo. 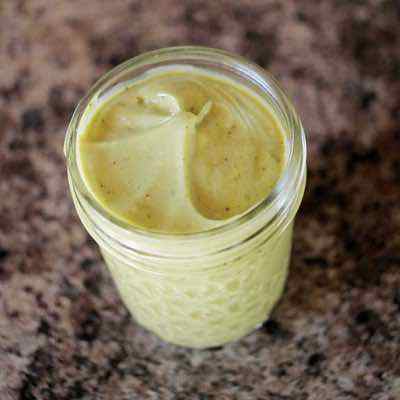 This version of Ranch is using a genius mix of cashews, coconut milk, and the required spices to replicate the taste while sidestepping all of the ingredients that can cause trouble to your digestion and health. You can use this as a salad dressing, or a dip for anything Ranch-worthy. This is a vinaigrette with a fancy name which may seem like you’re taking Paleo to the gourmet level. But in actuality it has just a handful or so of ingredients and it keeps things pretty simple with Extra Virgin Olive Oil and Champagne Vinegar. The vinegar gets its name because it’s made by using the same types of grapes used to make champagne, so it’s not just a phony title. The tarragon, shallots, and garlic all do well to make this a treat for your taste buds, and poured over a kale or spinach salad make it easy to top up on your veggies. This recipe proves that you don’t always have to have it plain and simple with Paleo, and that you can experiment with different flavors to find what works. Here it’s the use of both white wine vinegar and red wine vinegar in what would otherwise be a simple balsamic vinaigrette. Since each vinegar has a slightly different taste, it comes out with a different flavor than if you’d just used one. 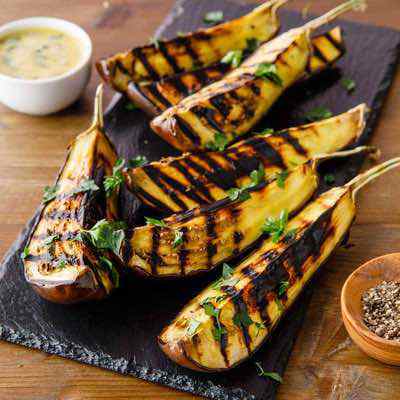 The dijon mustard also provides a strong flavor that makes this a special creation, while keeping it within the confines of a Paleo inspired diet.. 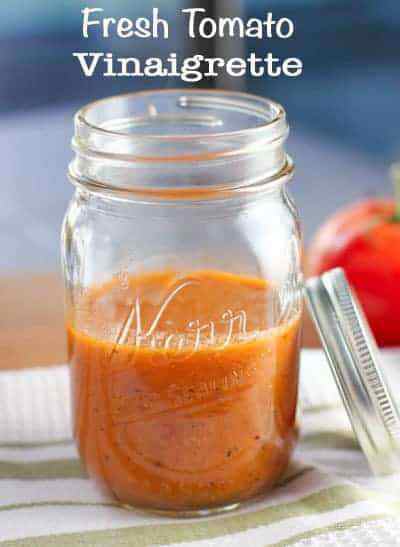 The use of strawberry in this dressing gives it a nice color, as well as the sweet fruity taste you’ve come to expect from strawberries. Fresh rosemary goes nicely with fresh strawberries, and they’re using olive oil and lemon juice to complete the dressing. They show this being served on a bed of arugula, but it can be used to flavor up any type of salad. 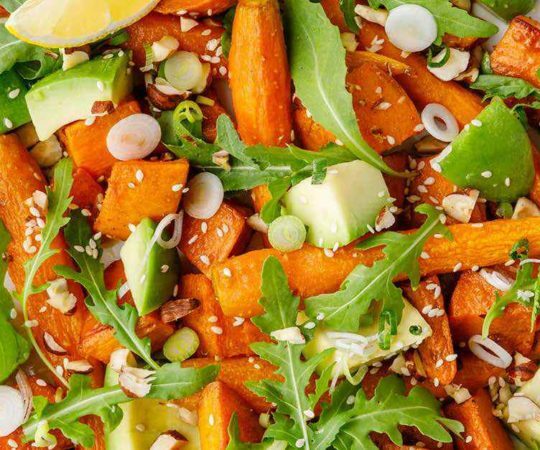 Try this simple salad on for size: a bed of baby spinach leaves, fresh organic cucumber slices, a fresh tomato cut into wedges, and baby carrots sliced in half. It’s a simple and tasty salad with all Paleo friendly ingredients and this dressing goes nicely with it. 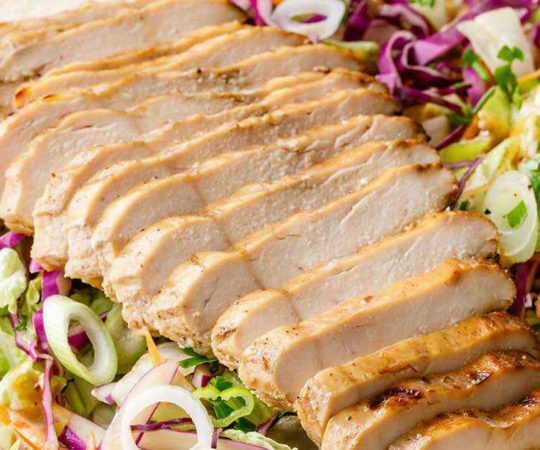 This recipe should only be used by those Paleo followers that like the taste of ginger as well as dijon mustard. That’s because when the two of these combine it forms a taste that will definitely perk up your mouth and make you pay attention. 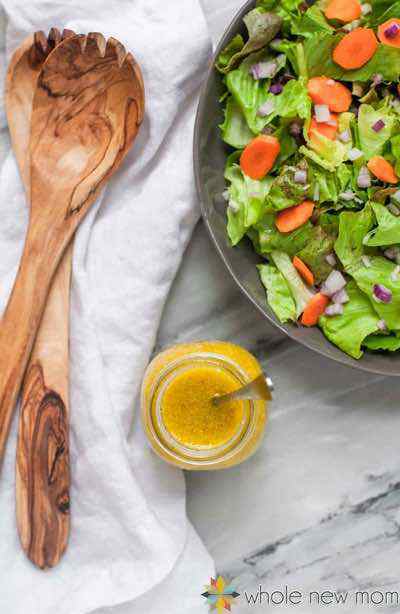 Olive oil and apple cider vinegar are used to create the classic vinaigrette backdrop, but what you’ll really taste is the ground ginger mixed with the dijon mustard. Try this on a steak salad like the one shown on the recipe page. It’s nice to get a half and half mix of meaty protein and fresh vegetables. This is a nice light dressing that will have a bit of an Asian zing to it because of the ginger. It’s the sort of dressing you’ll often see on the salad that is served before sushi at a Japanese restaurant. You can replicate that experience at home while on Paleo, just be sure to eat sashimi, which often is served without rice so you’re just getting fresh and raw fish. They show this being used on a very simple salad, which will really make the dressing pop. 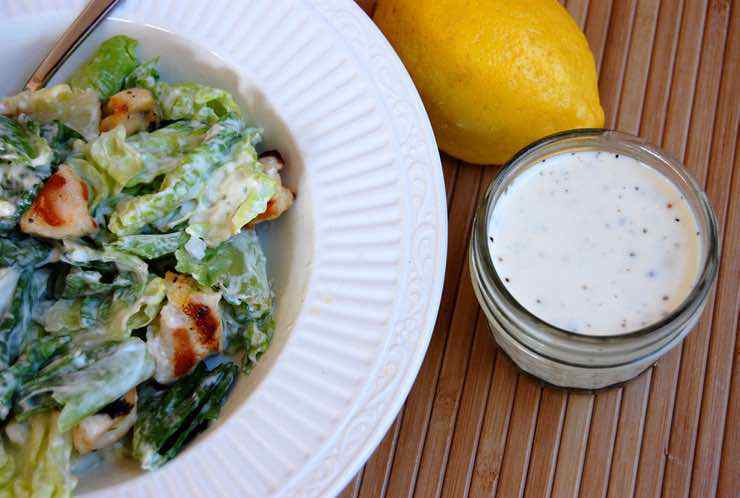 What can make Ranch dressing even better? Avocados! Not only do they lend their distinctive flavor, but they provide an extra creamy and smooth texture, and loads of healthy benefits. They have plenty of fiber and healthy fat, as well as potassium and a bit of protein, not to mention an assortment of vitamins and minerals. This recipe uses no dairy whatsoever, with coconut milk getting the call instead. 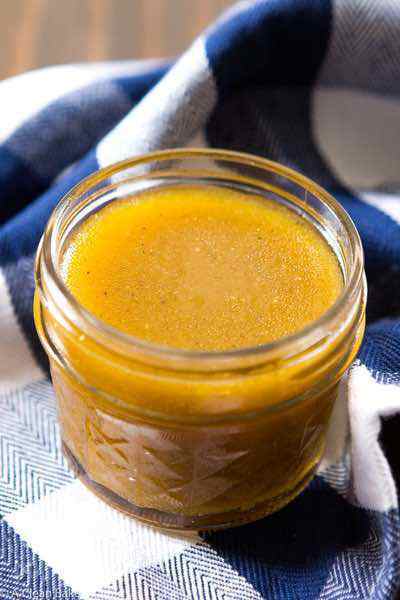 Thanks for including my maple mustard dressing! 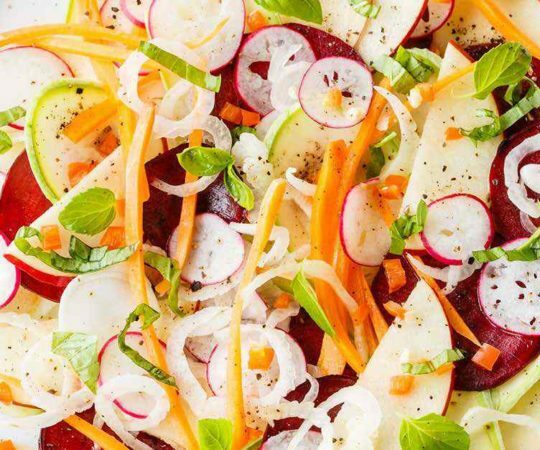 That salad is one of my summer favorites, and the fennel gives a nice crunch that’s sometimes missing on a Paleo salad without croutons. Dr. Mercola said that store bought salad dressing is one of the worst things for your health due to the soybean or canola oil they use. I agree. So I decided to make my own. Publix had extra virgin olive oil BOGO and since i like Blue Cheese dressing the best, I got a 9 0z tub of Gorgonzola and another of Blue Cheese. After reading the intro and all 13 recipes, it is dawning on me that cheese is dairy and dairy is not allowed on the Paleo diet. Boooo! Mayo from the grocery store may be non-paleo but homemade mayo (made of oil, egg, and lemon juice) is not only Paleo but super [edited :)] awesome! I echo Brittany’s comment. Absolutely nothing wrong with mayo if you make it at home with light olive oil. It is just olive oil, eggs, and small amounts of a few other harmless ingredients. 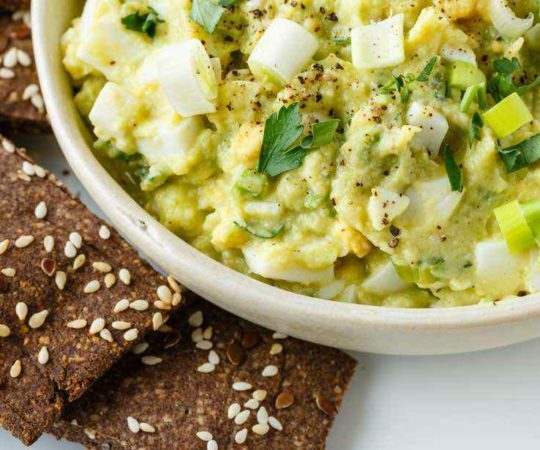 Google “paleo mayonnaise” and you’ll find several recipes that are all basically the same.